We celebrate Christian holidays like Christmas and Easter, Jewish holidays like Rosh Hashanah and Passover, and those of other traditions. Our holiday services use the stories and traditions creatively, calling us to our deeper humanity and our commitment to the common good. Water Communion, celebrating the opening of the church year, the first Sunday after Labor Day. Members of the congregation bring a small amount of water from a special time or place during the preceding summer; during the ceremony the individual waters are combined and blessed by the congregation. Flower Communion on the third Sunday of June, celebrating the beauty of unity in diversity. We each bring a flower to place in common vases, the congregation blesses them, and everyone takes home a flower brought by someone else. Coming of Age ceremonies honoring our younger teenagers after they complete a curriculum that teaches them about Unitarian Universalism and helps them articulate their own beliefs. During the ceremony each youth reads their credo, or statement of beliefs, to the congregation. Bridging ceremonies to celebrate and congratulate members of the congregation who are graduating from high school and transitioning to being young adults. This ritual focuses on maintaining the graduates’ connections to Unitarian Universalism as they become adults. 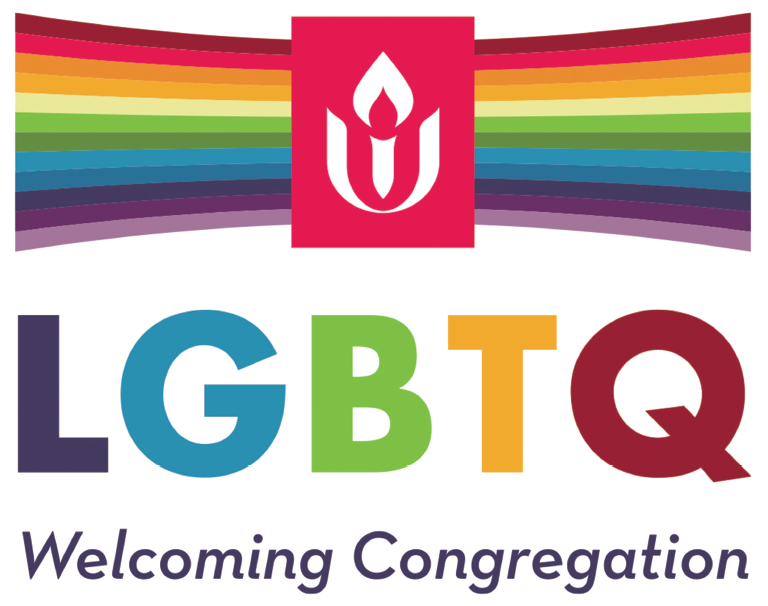 The Allen Avenue Unitarian Universalist church is a community which welcomes people from all races, ethnicities, sexual orientations and religious backgrounds. We have no creed to which members must adhere. We rely on our ethical principles to guide us, individually and as a community.Join us!